Adobe Flash is slowly but surely dying with Google updating Chrome to ensure the browser users HTML5 over Flash for the majority of websites. The latest update will be available for Windows, MacOS and Linux computers. The update called Chrome 55 is currently, and has been, in testing through the beta channel. Google is confident about Chrome 55, and it’s pushing it out quickly to the public. Google’s idea to block Flash on its web browser is good because Flash is known for its many susceptibilities. In a statement, Google said it was able to announce the release of Chrome 55 for Windows, Linux and Mac. They said Chrome 55.02883.75 offers an array of improvements and fixes, with a list of modifications available in the log. Google has been looking at ways to block Adobe Flash for several years now. Users can decide if they’d like to block Flash by going to the settings area in the browser. If users want to watch a blocked video or listen to a blocked audio, they need to click on the placeholder to initiate it. With the new update, there’s no reason to block Flash any longer. Once the new update goes into effect, the browser will load Flash on websites that don’t support HTML5 just yet. Google’s move to steer clear of Flash over HTML5 may encourage webmasters to do so quicker. If things go according to play, Internet users may soon be rid of the Adobe Flash player for good and using HTML5. It’s easy to upgrade to Chrome’s newest version. All they need to do is click on the three vertical dots on the right-hand side and hit “About.” The browser will download the latest update, shut down and restart the program. Once the Chrome browser has been restarted, Chrome 55 should be installed. 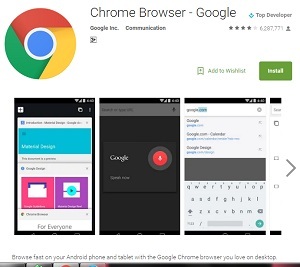 Google is working hard to ensure its Chrome web browser is good for everybody. The company has worked with Microsoft to offer its Chromebooks Office 365. However, the software isn’t going to be free for every Chromebook laptop computer. Posted by News on Dec 3 2016. Filed under New, Sci/Tech. You can follow any responses to this entry through the RSS 2.0. Both comments and pings are currently closed. Not in any of my versions on my computers (release 54.xxxxxxxxx). Need to go to “Help” first, then “About Google Chrome”. Pisses me off that such basic instructions are so screwed up all the time. How hard is it to get that right? I totally agree. Simple but so difficult. Although, glad to hear about the death of flash. Now Google is not only telling websites what format to follow, they are telling them what application to use. There will always be viruses and vulnerabilities even Google cannot solve. Congratulations Google is now more like Apple. Ever since the upgrade, I’ve noticed Chrome running a lot slower. Chrome has suddenly become a resource hog. Also … no mention of Chrome OS. You would think that Google would start such a radical change with their own OS. But the author omits the facts. Trashy work.